WASHINGTON (Reuters) - Major powers and Iran are getting closer to an initial agreement to curb Iran's nuclear program, a senior U.S. official said on Friday, adding it is "quite possible" a deal could be reached when negotiators meet November 20-22 in Geneva. "For the first time in nearly a decade we are getting close to a first-step ... that would stop the Iranian nuclear program from advancing and roll it back in key areas," the official told reporters. "I don't know if we will reach an agreement. I think it is quite possible that we can, but there are still tough issues to negotiate," said the official, speaking on condition of anonymity. 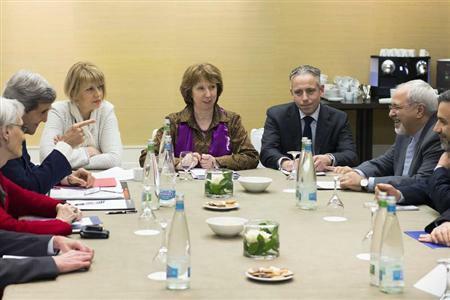 The official said EU foreign policy chief Catherine Ashton and Iranian Foreign Minister Javad Zarif were to meet on November 20 in Geneva. They will be joined later the same day by a wider group known as the P5+1 comprising Britain, China, France, Germany, Russia and the United States. The talks are likely to last through November 22, the official added. The talks will seek to finalize an interim deal to allow time to negotiate a comprehensive, permanent agreement with Iran that would end a 10-year deadlock and provide assurances to the six powers that its atomic program would not produce bombs. Iran has denied that it is seeking the capability to produce atomic weapons and insists its nuclear ambitions are limited to the peaceful generation of electricity and other civilian uses. Negotiations last week in Geneva ended without an agreement, although the sides appeared to be close to a deal that would defuse their standoff over the nuclear program. U.S. President Barack Obama has urged skeptical U.S. lawmakers not to impose new sanctions on Iran while negotiations are ongoing and called for a pause in U.S. sanctions to see if diplomacy can work. In addition to lobbying lawmakers, the White House this week also reached out to progressive groups supportive of diplomacy with Iran to make sure they stay aligned with the Obama administration's approach, according to a source close to the matter. Senior administration officials told supporters that they are guardedly optimistic about reaching an interim deal with Iran in Geneva and that the P5+1, including the French, are ready to present a unified position there, the source said. The senior U.S. official who met with reporters Friday said that published estimates of direct sanctions relief being offered under a preliminary deal - which have ranged from $15 billion to $50 billion - were "wildly exaggerated." 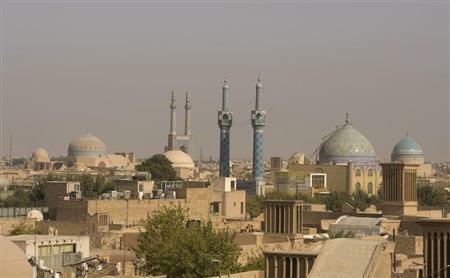 "It is way south of all of that and quite frankly it will be dwarfed by the restrictions that are still in place," the official said, saying to impose further sanctions threatened the negotiations not only with Iran but also among the six major powers. "The P5+1 believes these are serious negotiations. They have a chance to be successful," the official said. "For us to slap on sanctions in the middle of it, they see as bad faith." A senior administration official estimated that Iran has about $100 billion in reserves, the vast majority of which is held up in overseas bank accounts, which Tehran has limited or no access to. U.S.-imposed sanctions have hit Iran's economy hard. U.S. officials estimate that the economy contracted by more than 5 percent last year and its currency lost about 60 percent of its value against the U.S. dollar since 2011. Global oil prices slipped lower on Friday on the reports that Western powers may reach a deal but then rose slightly as markets weighed Libyan supply outages. Commenting on a U.N. inspection report released on November 14 that said Iran had stopped expanding its uranium enrichment capacity, the official said the development was "a good thing" but did not resolve fundamental questions and concerns about Tehran's nuclear ambitions. "We appreciate the step but the reason for our negotiation is to get at certainty that Iran can't have a nuclear weapon and we are a long way from that," the official added. Western diplomats said one of the sticking points during talks was Iran's argument that it retains the "right" to enrich uranium. The United States argues Iran does not intrinsically have that right under the Nuclear Non-Proliferation Treaty. The official dismissed suggestions that the issue could be a deal breaker. "I think there is a way to navigate that," the official said. "We each understand where each other is and what is possible, and what is not."